What can I say about German engineering? When it comes to luxury cars, the German engineering is present in cars. You can feel it in the ride, the handling, and the overall feel of the controls. 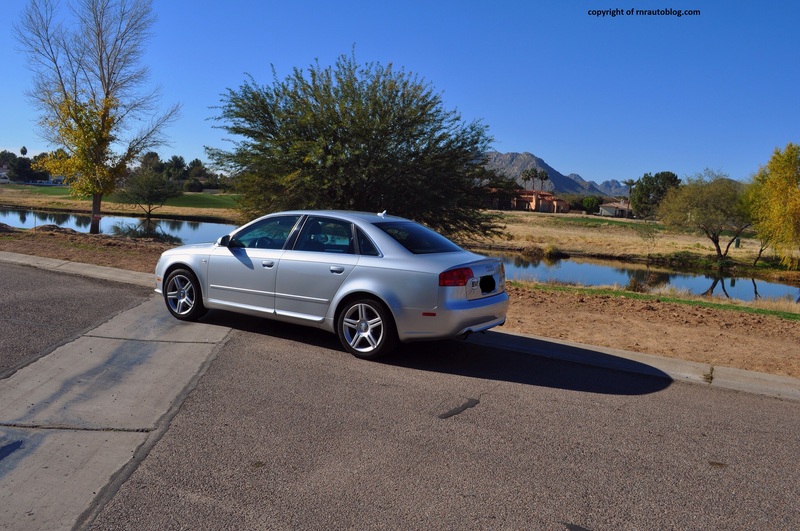 The Audi A4 is an example of such engineering. As Audi changed its nomenclature from just numbers (80, 100) to numbers and letters (A4, A6, A8), their cars adopted a different approach to beating BMW and Mercedes Benz in the luxury market. Audi, a division of Volkswagen, would use Volkswagen platforms to keep costs down, while focusing on driving performance and comfort. 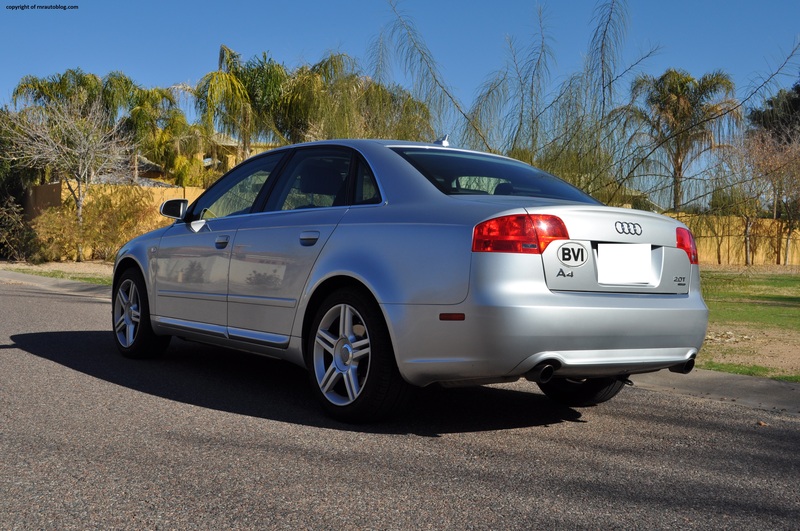 The Audi A4 succeeded the Audi 80 in 1996, as an attempt to better the likes of its rivals BMW 3 Series and Mercedes C-Class. 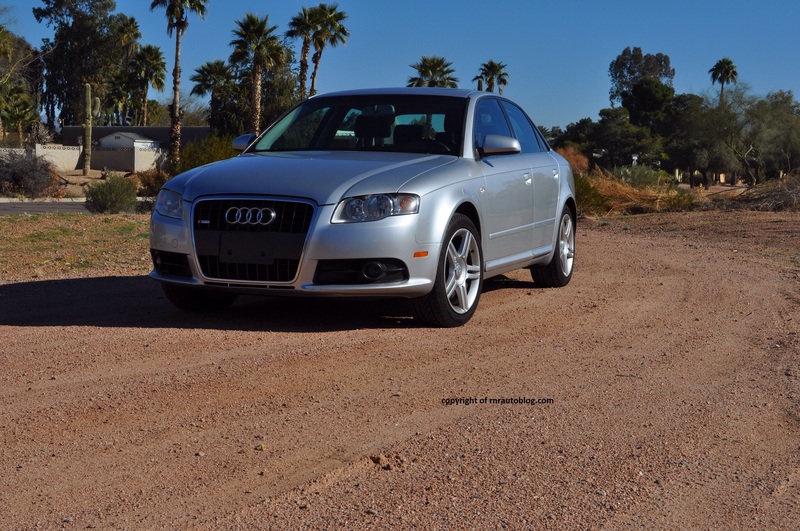 Following up on the first generation A4’s success, the second generation A4 promises even better driving performance. 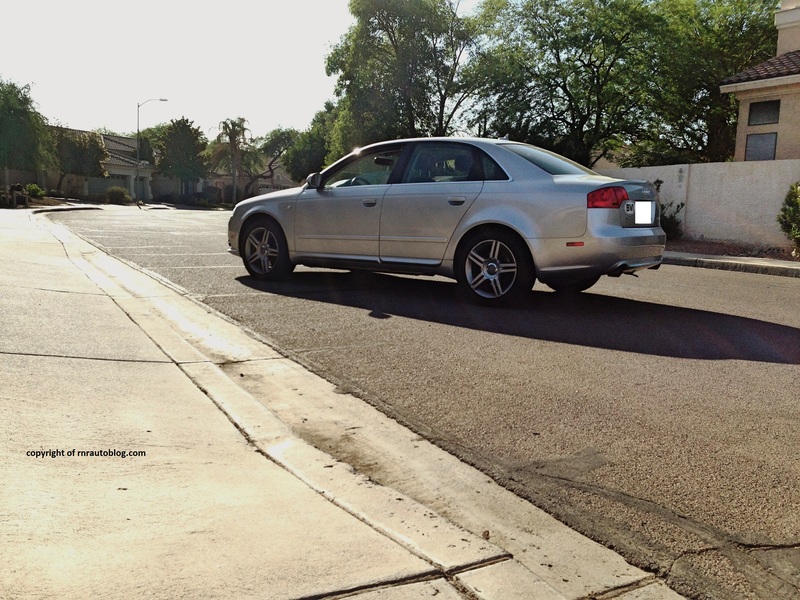 I personally prefer the understated styling of the Audi A4 over flashier designs by BMW and Mercedes Benz. It has just the right amount of elegance to let you know it is a luxury car, but it is subdued enough as not to attract attention. The details are subtle, but they are intricate. The full grille is controversial, but I think it suits the car nicely. The headlights and taillights are pleasing and of good quality. The side profile could be a little bit busier though. Again the intricate details are present in the rear. The exhaust outlets are very detailed, as is the rear and front bumper. The interior is all business. It is a little bit somber inside, but a contrasting silver strip brightens up the cabin a bit. 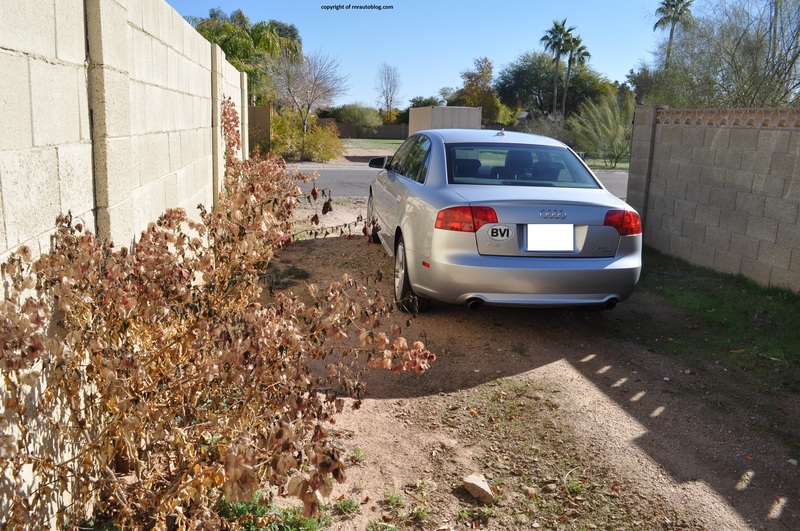 The Audi A4 has been designed with the BMW 3 Series in mind, meaning it has been designed to drive as well or better than the BMW 3 Series. It comes tantalizingly close. 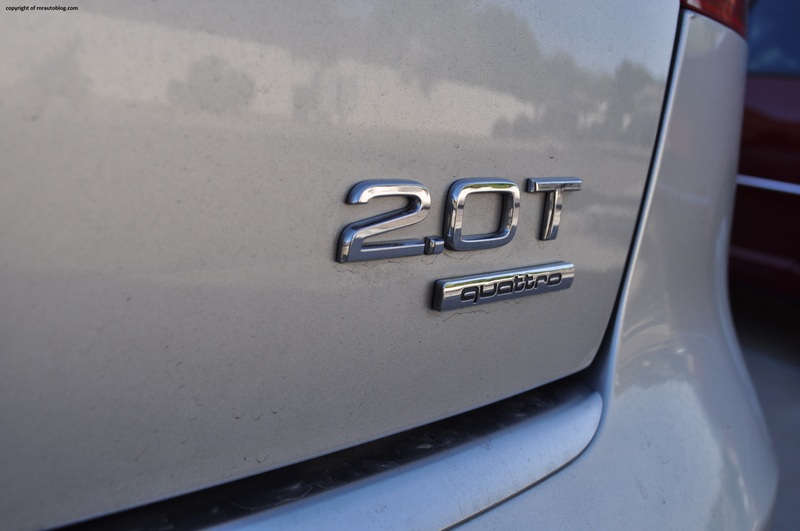 Most of this is due to the front wheel drive based layout (this version has the Quattro all wheel drive system). 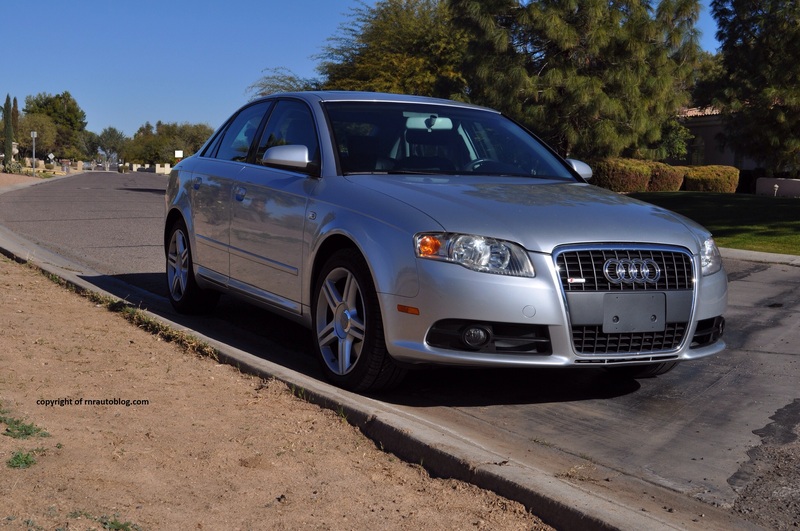 Whereas the BMW is balanced thanks to its rear wheel drive, the A4 wobbles. Go into a corner, and there is more understeer than you would like, and body control could be better. However, it is very composed. 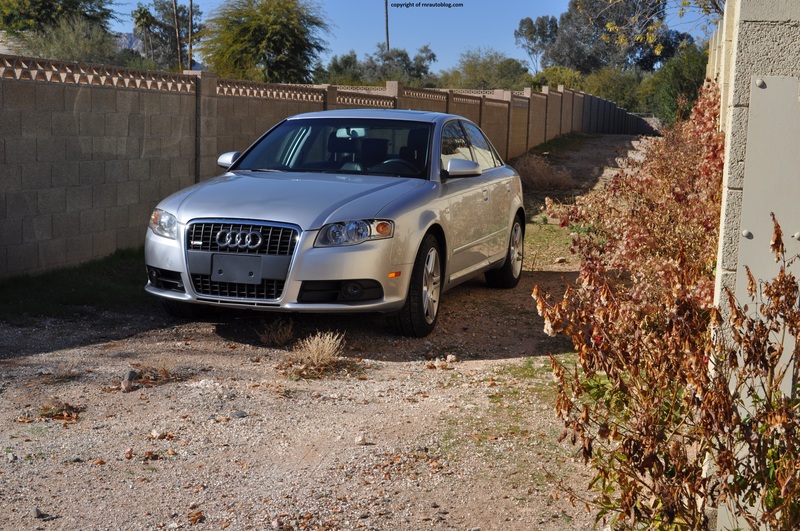 Go on a winding road, and the A4 responds with playful and willing behavior. The fact that this little Audi feels very solid is a plus. The steering is a bit lighter than I would like at some speeds, but has decent weighting. It could use a little more feedback though. The ride quality is a bit stiff on harsh surfaces but bumps are well isolated on most roads. Sorry for the picture quality. This was taken from an iPhone 5. The heart of this car is a turbocharged 2.0 four cylinder engine supplying 200 horsepower. Typical of turbocharged engines, there is some turbo lag at low revs. Because of the turbo lag, you are forced to change down a gear as the engine will get bogged under 2000 rpm. However, its midrange power is impressive. I did notice that the engine vibrates at low revs, but I wasn’t sure if this was because of the engine itself or because I needed to shift to a lower gear. The engine is coupled to a six speed manual. It is a joy to use, as shifts are slick and smooth. It can get notchy at times, especially in 1st and 2nd gear. Clutch travel is longer than I would like, but it has good feel and response. One glaring blunder is the engine’s ability to clatter at idle which seems out of place in a car of this price. The four cylinder sounds coarse and could be more refined. However, wind and road noise are well subdued. 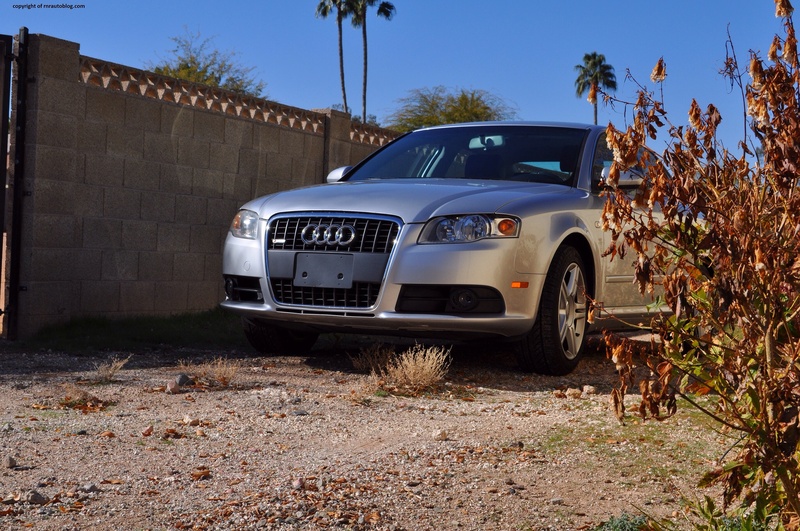 Attention to detail has always been one of Audi’s strengths, and this A4 is no exception. Attention to detail is fastidious, and fit and finish is excellent. Everything feels well assembled. Even the gear shift reeks of high quality. The controls seem complicated at first, but are easy to master. The driving position could be better. The pedals are offset to the steering wheel. The seats are comfortable, and have good lateral support. The rear is cramped, and three adults will not be comfortable in the rear.Rear access could be better. 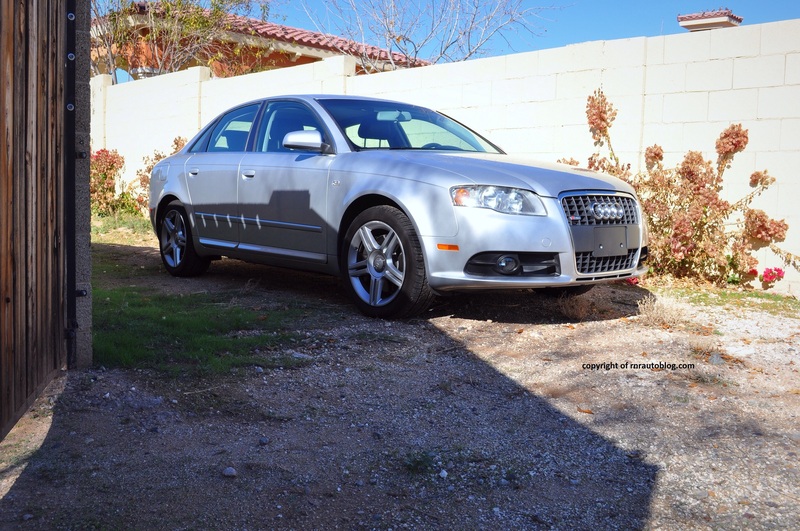 In conclusion, the second generation A4 is an exceptional compact luxury sedan. The fact that it has a manual transmission adds to the appeal. Even though the A4s are front wheel drive/front wheel drive biased (In the luxury market, a rear wheel drive layout is a must), they are good enough to worry BMW. Whereas the 3 series and the Mercedes C-Class associate themselves with a flashy image, the Audi appeals because of its elegance and subtlety. 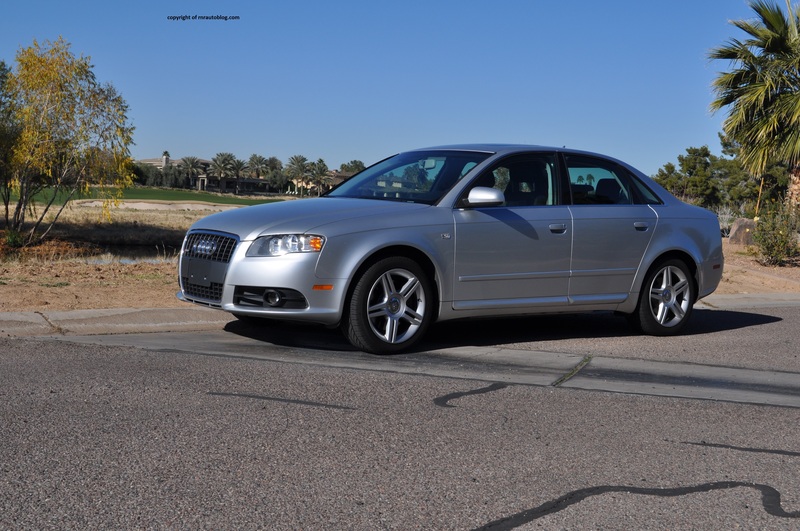 Because Audis are based off Volkswagen, they share the understated exterior designs. Even though Audis have made strides in their technological innovations, they have not lost this attribute, unlike Mercedes Benz and BMW. 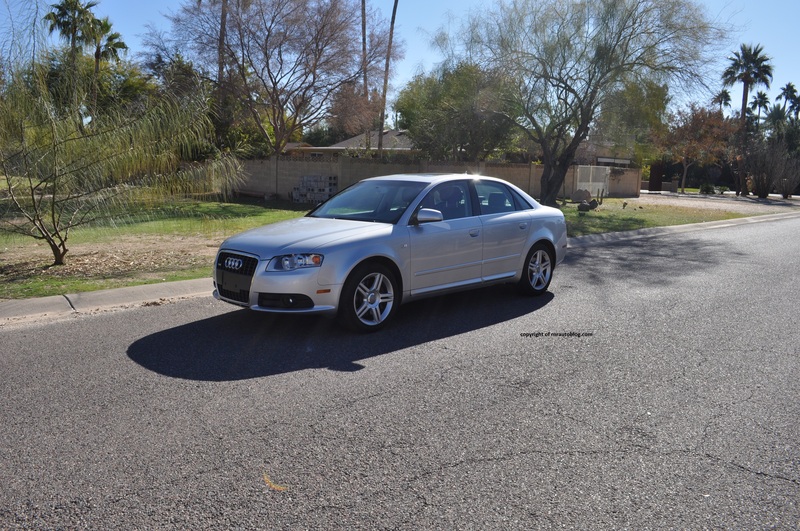 If you are in the market for a sporty and economical small upscale car, do not hesitate to look at the Audi A4. It does everything well. Those who speak the least say the most.